Currently, 30 % of eCommerce websites are powered by WooCommerce. Are you looking to sell a product or service online? Foundry know that deciding upon an eCommerce platform for your business is a big decision and that the options available may be overwhelming. 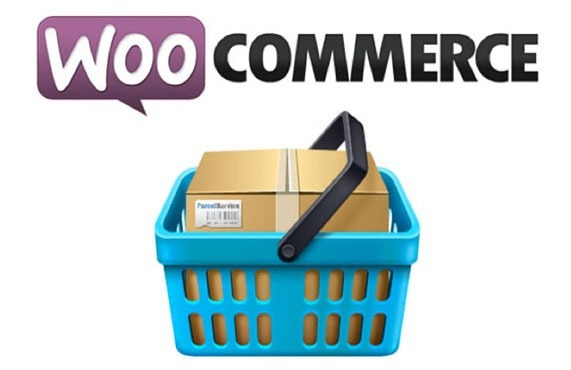 So today we are going to talk about WooCommerce, our current ecommerce favourite. Ecommerce has changed the possibilities of business in the modern world. With WordPress’ huge, and growing user base, WooCommerce has become increasingly used, contributing to the shifting way in which business is carried out online. Powering 30% of online stores and offering a vast array of features in a user-friendly style, it has huge potential to long-term monopolize shop website plugins. WooCommerce is sold as a plugin that ‘allows you to sell anything, beautifully’. But what features enable this ‘beauty’? Your shop can be tailored to selling physical and digital goods of all shapes and sizes, with prices and categorisation being edited dependent on the type of items. There is also flexibility in terms of payment, with hundreds of different payment platforms able to be integrated to a WooCommerce shop page. This flexibility also enables adaptation for a business’ growth as can be modified according to a seller and business’s needs. WooCommerce enables a professional structure to be created, which is key to creating and maintaining a successful shop. Order tracking, viewing past and open orders, updating delivery statuses etc etc are necessary factors for a professional shop and are all readily available via WooCommerce. Similarly, WooCommerce can aid inexperienced and experienced merchants alike by providing a built in analytics system that houses all stats necessary for a clear view of the shop’s progress. Its foundation of WordPress enables you to easily have a blog accompanying your shop and website. Patrick Rauland, a WooCommerce engineer, stresses the importance of raising the profile of your products through blogging. Therefore, its WordPress foundation helps extend your customer network. Similarly, it helps you sustain a client’s custom by providing the detail of a check box by which a customer can agree to join the shop’s mailing list. You are therefore more likely to get returning customers as you can maintain contact with potential customers through your newsletter marketing. This can all be set up without you needing to know all that much about the technical side of the programing. Indeed, its existence as a WordPress plugin, renowned for its user-friendly set up, makes WooCommerce a platform on which you can create an appealing shop without confusion. Shop owners can edit content, removing the delay of having to rely on web design and coding professionals. Another perk of WooCommerce is their desire to continue expanding features to maintain user satisfaction. Should you need assistance building a WooCommerce ecommerce site, be sure to contact us to see how we can assist in bringing your WooCommerce store to life.